Our nine member staff consists of six technicians—including a Ford Certified diesel technician; one service manager, one service writer, and our office manager and bookkeeper. 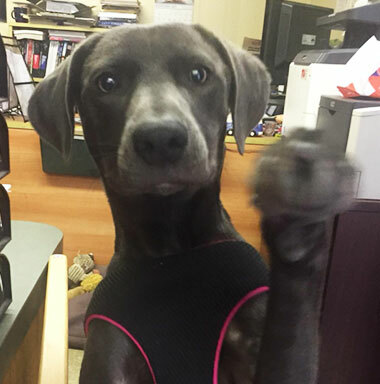 We also have our shop mascot, our Lil’ Blue Dog, a blue Lacy—the state dog of Texas! Combined, our technicians and service manager have more than 150 years experience. But best of all, each one exemplifies the honesty and integrity that have kept Ponders Auto & Fleet Service in business for so many years.